Press Release — 3rd September 2018 - Rotterdam- Dominium, a global property platform already in Beta in 15 languages, wants to put all real estate transactions on a global digital ledger made possible by cutting edge blockchain technology. 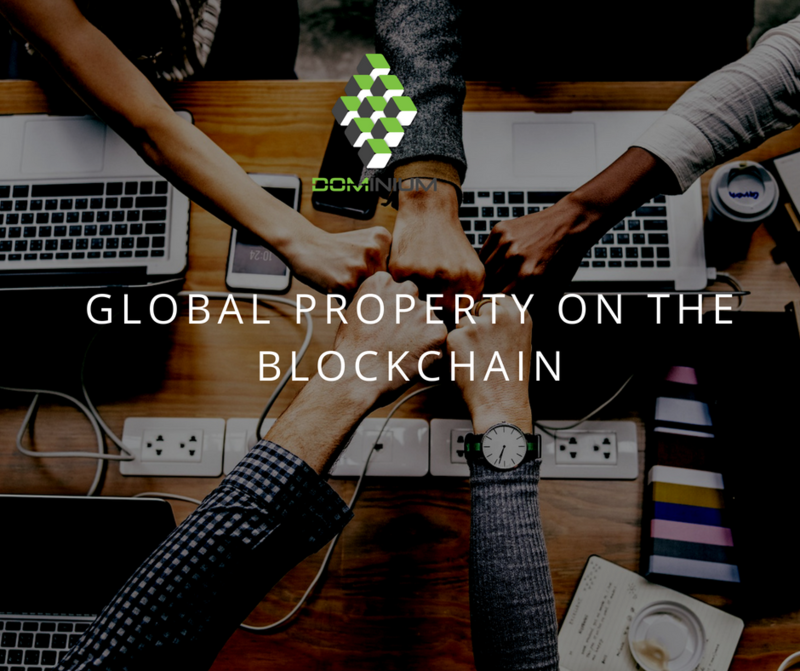 Dominium helps users to make property transactions such as buying and selling real estate, managing rental contracts, launching property funds and even managing renovation projects. The actions performed via the platform are documented on the Dominium blockchain, thus creating an irrefutable digital record of everything that has taken place, from an offer on a property to the date of installation of a new kitchen. The transparency created by the technology allows property transactions to take place without a centralised party such as a lawyer, notary or estate agent, creating significant financial savings for users. The Dominium public ITO begins at 12.00 CET on the 3rd September 2018. To buy DOM, please click here. The company behind the Dominium platform is a regulated company registered in the Netherlands. It was founded by real estate professionals with business dating back to 1833, in an attempt to add much needed tools, updated technology and overall transparency to their own industry. The company aims to provide regulatory compliance unimpeded by borders, languages and technologies, in order to facilitate efficiency, honesty and affordability in the property market. Having self-funded the development of the platform, and transferred millions of euros of real estate assets to Dominium B.V., the founders are launching an ITO to raise funds for the final stages of the platform’s development. Remaining true to their experience and belief in the financial stability of real estate, however, they have committed to investing the majority of ITO funds into property assets. These in turn will be rented out to create an income for Dominium B.V., thus securing the future of the platform, and maintaining the value of the DOM token. DOM is a utility token used on the Dominium platform. The Dominium “buyback and burn” program has been designed to increase demand and diminish the supply of DOM in order to maintain its value.